First Aid & Burn Care Products - Cool Blaze Products Inc. 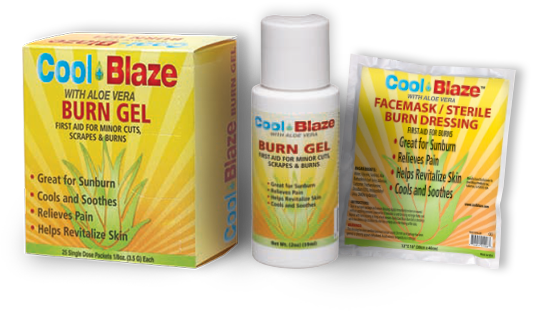 Cool Blaze soothing gel solution when applied to the skin burn will provide immediate relief. The clear gel also allows for easy monitoring of the wound after the accident and application of product. 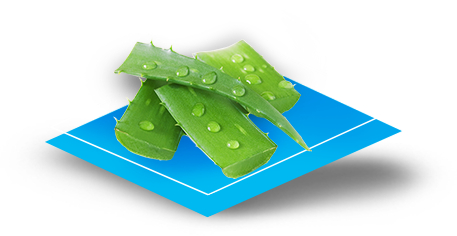 Cool Blaze with Aloe Vera is the latest technology in treating all types of burns. It is a natural burn care product that is odorless, effective and gentle. It cools, soothes and provides the moisturizing comfort of Aloe Vera. Whether you work in a fabrication shop, onsite for a construction company or in an office, the risk of injury exists. Install wall mountable dispensers in a shop or office for easy access and visibility or tuck away our portable kits in work vehicles. It’s important your employees are prepared for all incidents. Cool Blaze products are conveniently packaged in a low profile, soft pack emergency bag in a bright red color for easy identification. All Cool Blaze kits are fully loaded to assist EMS personnel in offering immediate relief in the treatment of minor burns. Our assortment of dressings, blankets and gels can be easily restocked and customized to your needs. Scalds and burns are bound to happen in the fast paced environment of any commercial kitchen, restaurant or coffee shop. Our products are a must in every first aid cabinet. Running low on dressings in your current kits? Top up your existing kits with Cool Blaze products. Traumatic incidents are a real risk. Clean, sterile dressings for immediate attention to wounds are needed. Cool Blaze saturated gel blankets are packaged in durable, pierce resistant plastic yet they are easy to tear open in a time of need. Blankets and dressings fit conveniently in pack compartments making them easy to transport. © 2019 Cool Blaze Products Inc.